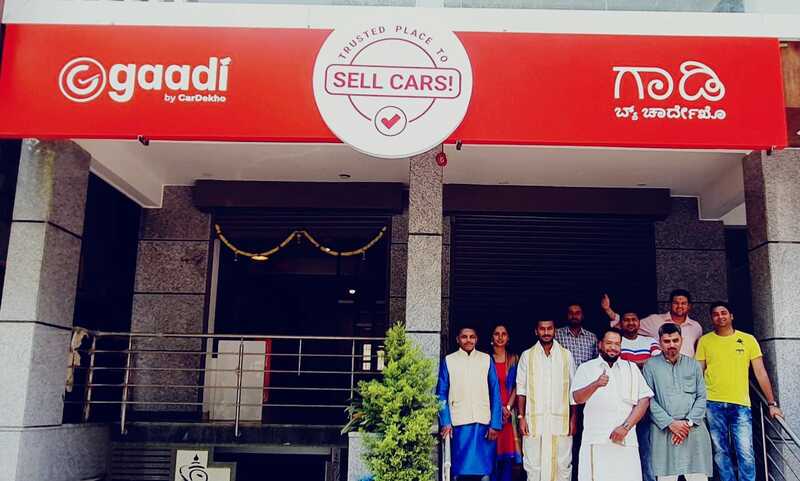 Gaadi by CarDekho, a retail auction model for pre-owned cars, has announced its foray in southern India with launch of twelve stores in Bengaluru. Better known as the silicon valley of India, Bengaluru is a magnet for the millennials as well as the urban population, creating the perfect opportunity for Gaadi to expand its market. The brand has already witnessed phenomenal success within its first quarter with sale of over 900 cars across the 15 stores in Delhi – NCR. The brand is steadily building its trust with the audience as a dependable, hassle-free medium to sell their cars. The intend of the team is to scale the entire country with nearly 200 stores in markets including Delhi NCR, Bengaluru, Mumbai etc. The USP of Gaadi is to provide effortless vehicle selling experience to the customers with optimum resale value for their cars along with Free RC transfer, Loan closure assistance, Instant money transfer, and scientific car inspection at their outlets. The CNY 23.6 billion Lipu-Yulin Expressway will run through Guilin, Guigang, and Yulin in Guangxi province and is an important section of G59, China’s national expressway network. 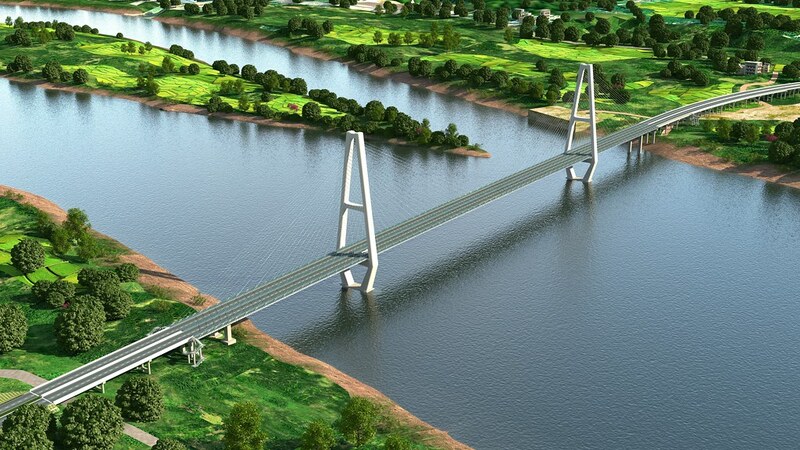 Guangxi Transportation Design Group Co., Ltd., is responsible for the overall design and coordination of the project, as well as providing technical support for the construction unit. The large-scale project, which requires complex and comprehensive management, faces many challenges including long distances, large amounts of land requisition and demolition, and citizen-control factors that need to be considered in the planning phase. The main line of the project is 263.1 kilometers long and requires exceptional communication and coordination among teams, multiple disciplines, and public entities. The expressway design includes several technically complex bridges, such as the Xiangsizhou Bridge, with a span of 450 meters and the largest-span, cable-stayed bridge in Guangxi province, and the Pingnansan Bridge, the largest span-arch bridge in the world under construction, with a span of 575 meters. The expressway also includes super-long tunnels, such as the Wenwei Tunnel, which runs 4,705 meters and is located in mountainous regions with rough terrain and poor geological conditions. The BIM design team was required to determine how to build a full-factor scenario project model quickly and optimize the route plan. The team depended on Bentley software to enable the design, collaboration, and management across all teams while meeting contractual-scheduled requirements. Project goals include saving design time by 20 percent, limiting deviation between target cost and actual cost to 2 percent, and achieving a profit margin of 5 percent. The BIM team used unmanned aerial vehicles (UAVs) in combination with ContextCapture to create large-scale, reality meshes for the project. The models were used to perform 3D analysis to ensure the safety clearance of equipment and structures and conduct site planning and optimize construction site space utilization to reach 95 percent optimization. Using OpenRoads, the team created 3D models for planning construction sites and temporary sites, arranging service areas, and selecting spoil ground to avoid wasting land resources, which saved land use by 5 percent and avoided 4,100 square meters of building demolition. MicroStation was used to perform 3D parametric modeling, with ProStructures used to accurately model the steel structures; these applications identified problems and reduced design errors design rework to save 15 working days. OpenRoads and OpenBridge were used to perform 3D design of roads, bridges, and tunnels to quickly and accurately locate the structures, perform parametric modeling, and improve design efficiency by more than 200 percent. BIM 5D construction management was achieved using the project’s electronic sandbox system based on MicroStation to manage 3D content while combining the data with a web GIS to provide information browsing and sharing. ProjectWise was used to provide collaborative design across all parties and professions and reduced communication costs by CNY 400,000. Combining Bentley technology with BIM methodologies, the design team was able to achieve economic savings as well as reduce staff input of design and construction management by 10 percent, which reduced resource hours by 30 percent and greatly improved the quality of construction, laying the foundation for timely and high-quality project completion. Shine.com, India’s 2nd largest job portal, recently conducted a first-of-its-kind appraisal survey focusing on the expectations of employees instead of a top-down HR or company led perspective. 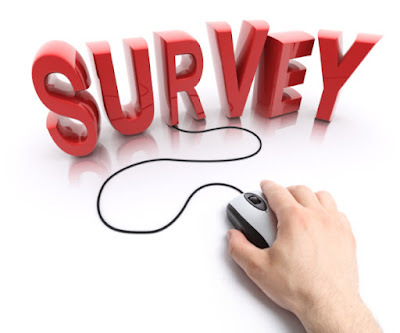 The survey was conducted across working professionals from various industries including IT, Banking and Finance, Industrial products, education/training, FMCG etc. In a comparison between expectations among employees in metro cities, the leading job search platform found some interesting insights. It was revealed that professionals working in cities such as Mumbai, Pune and Chennai are looking for higher pay hikes, above 20% as compared to their counterparts in other metros like Delhi-NCR and Bangalore, wherein people expect lower hikes in salaries – between 0-10 percent. The Survey found that in the Financial Capital – Mumbai almost 37% of people are expecting increment above 20%, while in Pune and Chennai, the number is 36% and 38% respectively. Bangalore, which is referred to as the Silicon Valley of India, observed that 21% of people expecting appraisals in the range of up to 10% hike, while the country’s capital – Delhi NCR saw the trend of 20% of people expecting increments on the lower side. To get a holistic view of the overall employee sentiment in terms of salary hikes, Shine.com also mapped the lowest expectations across sectors and cities. Bangalore emerged as one of the least demanding cities in terms of pay hikes, as one-fifth of all respondents in the city mentioned that they would be satisfied with up to 10% increment. Sectors including BFSI, IT and BPOs, that already offer high packages to employees are the ones driving these low expectations. As there is an abundance of talent in the city, especially in the IT and e-commerce sectors, it is no surprise that professionals are expecting lower appraisals. Surprisingly, although Bangalore has been India’s IT hub for years, its e-commerce sector is expecting much lower appraisals as compared to Delhi. 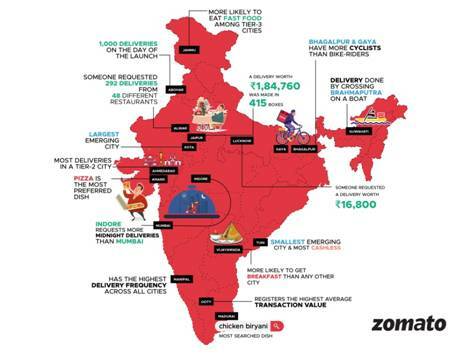 While over 46% of e-commerce sector employees in Bangalore are only expecting an average growth of 11-15%, Delhi NCR (Gurgaon) seems to be emerging as a new hub for E-commerce as appraisal sentiment is high with over 1/3rd professionals expecting a bumper hike of over 20%. Shine.com further revealed interesting developments in Mumbai and Pune where employees in Education/Training and the Automobile sector are expecting hikes on the higher side. While a whopping 62% of employees in Mumbai are looking for over 20% appraisal in the Education/Training sector, around 56% in Auto are eyeing the same. Further, 48% of employees in the Auto sector and 38% in the Education/Training sector are looking for more than 20% hike in Pune. These two cities, which are witnessing robust growth across most sectors have collectively portrayed the highest appraisal sentiment in the country. A sector-wise analysis of appraisal expectations revealed that the highest appraisal sentiment is being carried by professionals the BFSI and BPO/KPO/ITES sectors with over 35% of employees in these sectors expecting more than 20% increment. With these sectors witnessing robust growth on the back of the tech advancement and integration, such high expectations come as no surprise. Speaking on the survey, Zairus Master, CEO, Shine.com said, “It is interesting to note the variance in employee expectations across different metro cities and across sectors. While employee sentiments are high across most sectors, it is a given that not all organizations will be able to meet these expectations. At Shine.com, we are gearing up for an increase in active job seekers on the portal post the appraisal season. As always, we will strive to match them with the perfect job according to their skills and expectations and also offer a chance to upskill and enable long term career growth for them through our Shine Learning platform. The respondents of the survey were majorly located in leading metro cities including Mumbai (19.49%), Delhi/NCR (20.89%), Bangalore (20.08%), Hyderabad (16.43%), Pune (9.34%) and Chennai (11.64%). The aforementioned findings call for organizations to invest an increased amount of funds towards their human resources in order to retain top talent over the years to come. Celebrating the 2019 summer in a different way, India’s largest arts, crafts and hobby megastore Itsy Bitsy is launching Summer Mega Sale on its online e-retail platform www.itsybitsy.in from April 3 to April 14, 2019. The most affordable and accessible Summer Mega Sale will be e-retailing more than 10,000 products with a discount ranging from 50% to 80% on art supplies, general and kids' craft, paper crafting, mixed media, soap making, candle making, needle craft and a whole lot more. To keep kids creatively engaged for hours during summer, the sale will have a huge variety of art supplies, chalk paints and acrylic paints at 10% off. There is an offer up to 20% on scrapbooking and card making materials and up to 50% off on Itsy Bitsy’s home brand, Little Birdie’s handmade flowers and embellishments. Honda is spearheading the mission to create meaningful difference in society fuelled by citizen partnership. #ActivIndia ignites every Indian to exercise their most important form of self-expression - their right to vote. · Pledge to vote: Visit www.hondaactivindia.com and join the #ActivIndia movement. · Set SMS reminder: Select your polling date on the website and get reminded a day before. · Frame your pledge: Show the world your customized pledge frame and spread awareness. · Spread the cause: Upload your pledge certificate on social media and ask your friends and family to take the pledge too! · Every vote counts: Ensure two votes are cast for every two-wheeler. Ride to the polling booth with a pillion. Standard Chartered is turbo charging its open banking capabilities, with a focus on driving innovation and technology culture through openness and partnerships with developers, corporations and fintechs to co-create better client products and services through the sharing and use of Application Programming Interface (APIs). The aXess platform (https://axess.sc.com/) will offer developers open access to the Bank’s open source code for banking products and its APIs, applications, and libraries. It serves as an adaptive layer in its technology architecture to drive more connectivity and partnerships between developers, corporations and fintechs, so innovative solutions can be co-created. The Bengaluru-based test lab is a physical space where the Bank’s in-house developers can experiment with cutting edge technologies, accelerate ideation to service delivery, enable new business models, and share open banking best practices, capabilities, and tools across the Bank. The developer academy aims to upskill the Bank’s developers with the technical skills required for open banking through training programmes, hackathons, and technology leadership roundtables. It is also a forum for networking with tech networks in other industries. Standard Chartered has been driving innovation in the banking space, co-creating solutions to improve client experience and establishing new partnerships and solutions to change how it approaches and thinks about banking. Following the successful pilot launch of its digital retail bank in Côte d’Ivoire last year, the Bank has further rolled out digital-only retail banks across Africa this year, in Uganda, Tanzania, Ghana and Kenya. Most recently, the Bank announced the establishment of a strategic joint venture with PCCW, HKT and Ctrip Finance to deliver a new standalone digital retail bank in Hong Kong. It also recently announced the SC Ventures Fintech Bridge, a market-first online platform, through which the bank seeks partnerships with fintechs to solve business challenges which meet current and future client needs. It will soon be launching an open digital platform for Small and Medium Enterprises (SMEs) in India, to help them grow by providing access to a range of financial and business solutions. Jaguar Land Rover India, has announced the start of local manufacturing of Range Rover Velar. The Range Rover Velar will be available in 2.0 l Petrol (184 kW) and 2.0 l Diesel (132 kW) powertrains and priced at ₹ 72.47 Lakh (ex-showroom India). 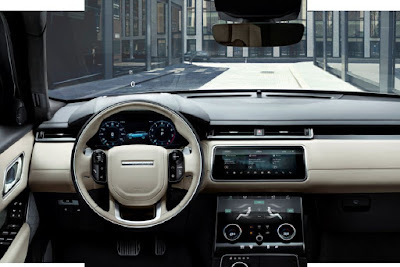 The Land Rover range in India includes the Discovery Sport (starting at ₹ 44.68 Lakh), Range Rover Evoque (starting at ₹ 52.06 Lakh), All-New Discovery (starting at ₹ 76.94 Lakh), the New Range Rover Velar (starting at ₹ 72.47 Lakh), Range Rover Sport (starting at ₹ 103.74 Lakh) and Range Rover (starting at ₹ 181.86 Lakh) . All prices mentioned are ex-showroom prices in India. 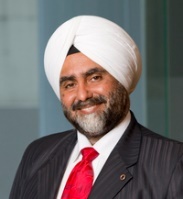 Toyota has been listening to customers and constantly evaluating the rapidly changing needs of Indian Car customers to offer the right product to the Indian market. Since the launch of its multi-purpose vehicle the `Qualis' in India in 2000, the company has been focusing on evolving customer aspirations in India. The Company has been constantly upgrading its products and introducing newer innovations and technologies in the Indian Market. 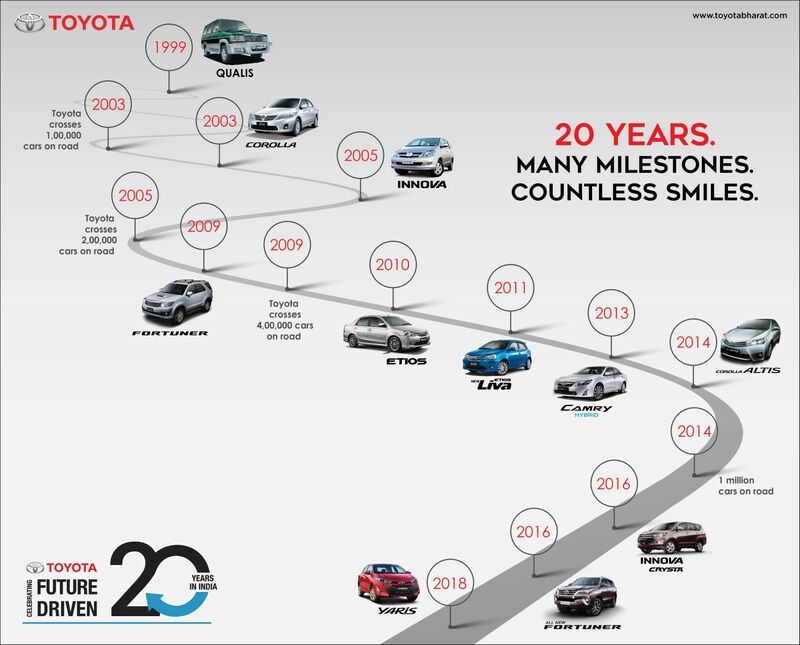 Toyota has continuously pursued to be Number One in Customer Satisfaction with every product milestones ‘Launch of Toyota Camry in 2002’, ‘Launch of Corolla in 2003’, Launch of Innova in 2005, Launch of Fortuner in 2009, Launch of Etios in 2010, Launch of Innova Crysta in 2016 and Launch of Yaris in 2018. 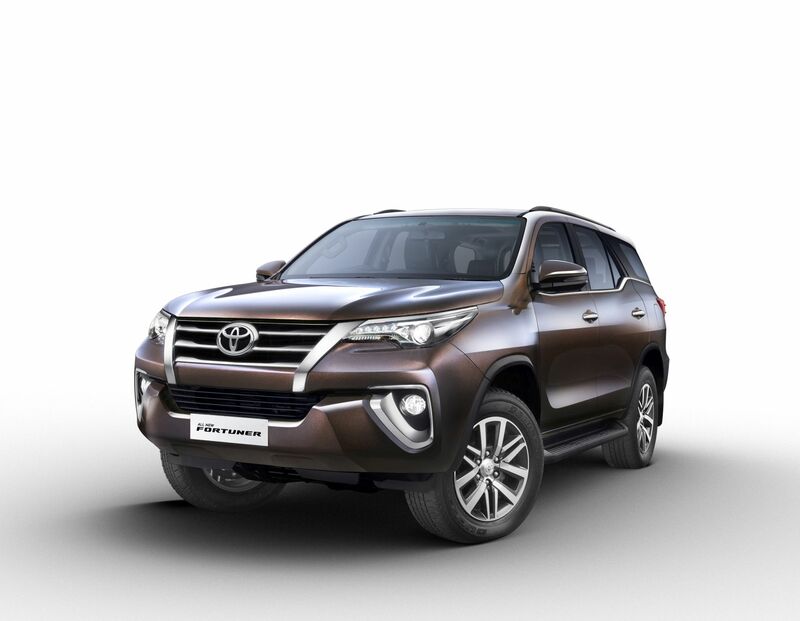 With diverse product lineup, Toyota has endeavored to improve its standards in terms of providing the best quality, unbeaten safety, performance, fuel efficiency and unmatched comfort in every segment. 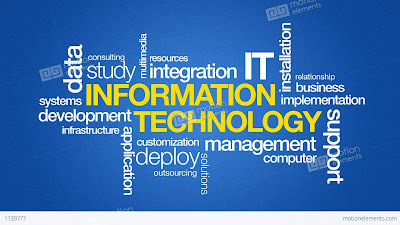 based connected services which caters to customer’s mobility & ownership needs in a personalized manner. TOYOTA CONNECT INDIA is a fully integrated cloud based connected service platform supported by a dedicated & specialized call center, Toyota’s dealer networks and service providers. In response to a rapid increase in traffic accidents in urban areas of India and prioritizing Customer Safety, Toyota is the first auto manufacturer to have standardized airbags across all grades in all models in India in 2015. Further, ABS & EBD has been standardized [with the launch of new Platinum Etios & Liva, since Sep 2016], reinstating the importance of safety. With Yaris, Toyota Kirloskar Motor [TKM] has underpinned commitment to safety by being the first in the segment to offer 7 SRS airbags – (D+P airbags, Side airbags, Curtain Shield Airbags (CSA) and knee airbag) across all variants in the new Yaris in 2018. Toyota continuously strives to develop advanced safety technology and apply them in its vehicles. Aligning with Toyota’s global philosophy - Toyota Kirloskar Motor being a Safety Leader, have implemented various safety initiatives by engaging with stakeholders – Employees, Dealers partners & Supplier partners through a 3-dimension concept of Manufacturing Safe Cars, Developing Safe Drivers & Building Safer Environment. There is one fatal accident in India every 4 minutes which means that 1.4 lakh such accidents take place every year. To create a safe driving culture in the country Toyota launched its first driving school in Kochi in 2015. Toyota Kirloskar Motor has launched 11 other driving schools at Kochi, Lucknow, Hyderabad (two), Chennai (two), Kolkata, Faridabad, Vijayawada and Surat. As part of the brand's 'Safest Car with Safest Driver' mission for road safety, it plans to have 50 such schools across India by 2020. In addition to making ever better cars, Toyota is committed towards a greener tomorrow and establishing a future society in harmony with nature. Toyota being a leader in the environmental stewardship started its journey towards greening its energy source since 2015-16 and has made substantial step-up over the years. Guided by Toyota’s ‘Global Environmental Challenge’ 2050 in line with the United Nations Sustainable Development Goals, till January ‘19 [in FY 2018-19] - Toyota Kirloskar Motor (TKM) successfully sourced 87% of electricity from renewable source of energy for its operations in Bidadi facility. Toyota has been recognized for its sustainable growth with its core belief “Ever-Better Cars with Ever-Better Technology for an Ever-Better Environment”. The company has also been vesting enormous efforts to reduce its energy consumptions through controlling and reducing daily energy consumption in each of the operational processes instilling stringent & systematic monitoring to track energy usages. In FY 2018- 19, 76% of the Water consumed in the Manufacturing Facility was recycled water and only 7% of fresh water was consumed. As pioneered makers of eco-cars leading the way for a better tomorrow, Toyota recently launched The All New Camry Hybrid Electric Vehicle. Toyota’s strong hybrid technology not only aims at creating harmony with man, nature and machine, but also positioned as the future of eco-mobility. The Camry Hybrid or self- charging electric vehicle is a strong hybrid and the only hybrid which is locally manufactured at Toyota Kirloskar Motor’s second plant located at Bidadi [Bangalore, Karnataka] in India. Toyota's renowned reputation of Quality Durability and Reliability (QDR) has led our steady growth in the Indian automotive market. 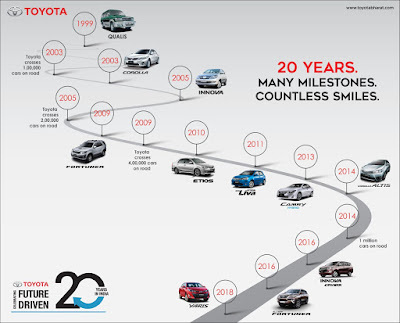 We are proud to declare that over 1.5 million Indians are part of the ever growing Toyota family. We also strive towards developing a more sustainable future and being pioneers in the Hybrid Technology is our first step towards this movement. Through initiatives focused on education, community development and the environment, we aim to create a company that works in harmony with nature and society." 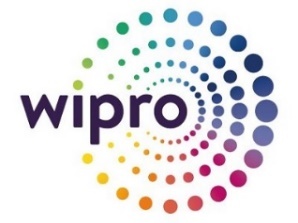 Wipro Lighting, part of Wipro Enterprises Limited and Mapiq, The Netherlands have entered into a strategic partnership to deliver a superior end-user experience in the area of Smart Workplaces. Wipro Lighting, a pioneer in smart lighting products in India, is one the largest lighting companies in the country. It is synonymous with innovative lighting solutions for indoor and outdoor across many different industries, such as retail, commercial offices, healthcare, and others. Wipro’s tremendous depth in lighting knowledge and collaborations with international lighting and technology companies led to the launch of Internet of Lighting (IoL)TM in 2018. In October of 2018, Frost & Sullivan recognized Wipro with the “Connected Lighting Company of the Year” award. “We're going to see a rise in smart building world with a focus on the end-users. We believe that this partnership can take us to the next level when it comes down to really understanding the needs of employees and support them during their workday. 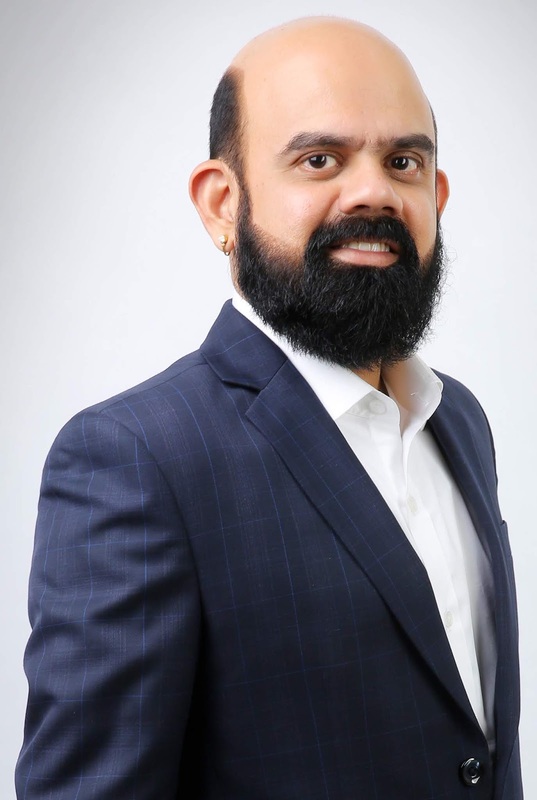 A productive, happy employee is the foundation for the biggest ROI for a company.” said Anuj Dhir, Vice President & Business Head, Commercial Lighting Business of Wipro. Mapiq is a Dutch scale up and frontrunner in the development of smart building platforms. With headquarters in Delft, The Netherlands it creates a unified, cloud-based platform that helps optimize workspaces and activate the true potential of employees. Mapiq is a software platform that shows your office building in an interactive 3D map. Employees can use Mapiq to book rooms, find their way around the building, search for free workplaces, find their colleagues, and much more. It works like personalized Google for Smart Workplace. Facility managers and building owners can use data collected by Mapiq to make well thought out decisions about their office spaces. “The workspace has become more open and dynamic than ever before. Being able to work anytime, anywhere, provides great flexibility. However, this way of working often decreases the amount of face-to-face contact in the office. Technology with its unique twist, brings people and teams back together,” said Sander Schutte, Founder & CEO of Mapiq. Wipro will implement Mapiq into their of Internet of Lighting (IoL)TM - Smart Building Proposition. For Mapiq this partnership represents the global ambitions of the company. 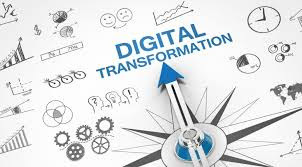 The agility and innovation from a Dutch scale-up and the experience and service from one of the most recognized technology companies is promising formula for a global roll-out. The first Smart building in India arising from this partnership is expected to go live before summer 2019. · Drivers enrolled under Siksha Samarth may avail online tutoring and career counselling for children of all enrolled drivers and owner drivers. 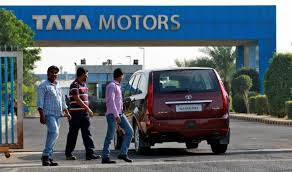 Meritorious students of customers, owner-drivers and drivers in Class 8 to Class 10 who are eligible under the scholarship scheme of Tata motors will receive one year free subscription of Toppr for relevant academic year. 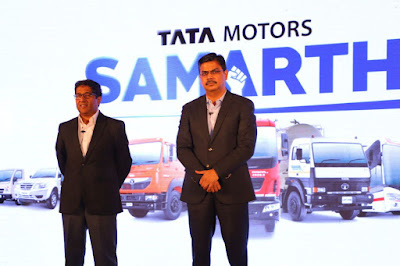 Along with healthcare benefits, Sampatti Samarth plans to encourage investment habits among drivers through its SIP offering by ICICI Prudential and TATA Mutual Funds, with a lock-in period of 3 years, as well as conduct financial literacy camps for drivers and owner drivers across India.Furthermore, Tata Motors has joined hands with Toppr and introduced Siksha Samarth. Toppr is a learning app for classes 5th to 12th that helps students prepare for every board, competitive and scholastic exam. Toppr personalizes learning by creating a unique path for each student based on their strengths and weaknesses. On Toppr, students can watch free video lectures, practice questions designed for them, attempt mock tests and get their doubts solved 24x7. More than 7 million students trust Toppr to learn better. 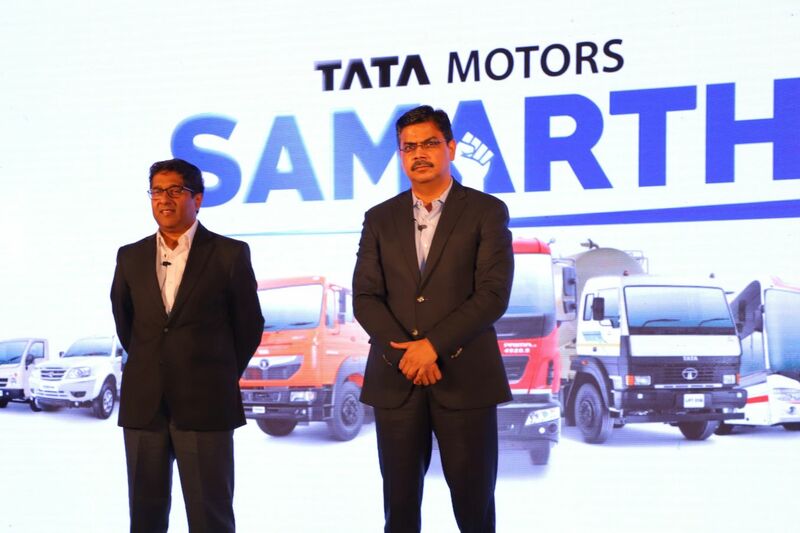 Meritorious students of customers, owner-drivers and drivers in Class 8 to Class 10 who are eligible under the scholarship scheme of Tata motors will receive one year free subscription of Toppr for relevant academic year.